Hoppers roll south on the Union Pacific Shoreline Subdivision. A pair of big GEs is on the head end while another is on the rear in DPU mode. 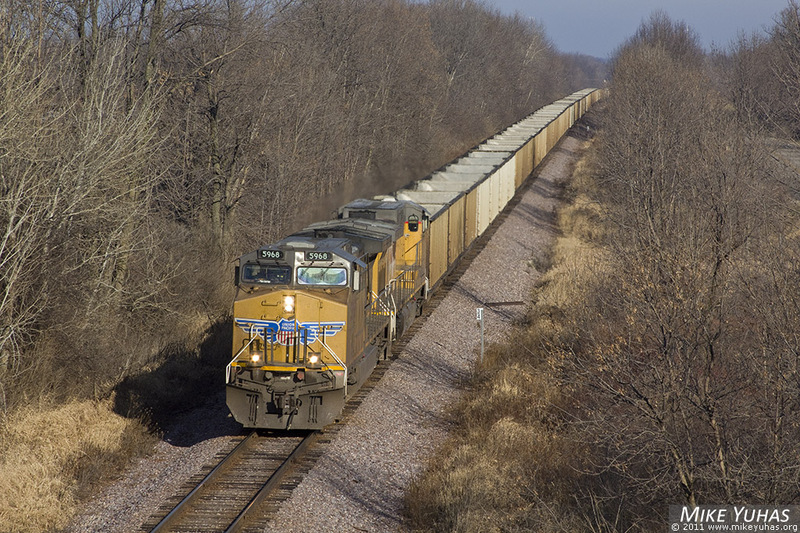 Union Pacific seems to favor locomotives made by GE on its coal trains.